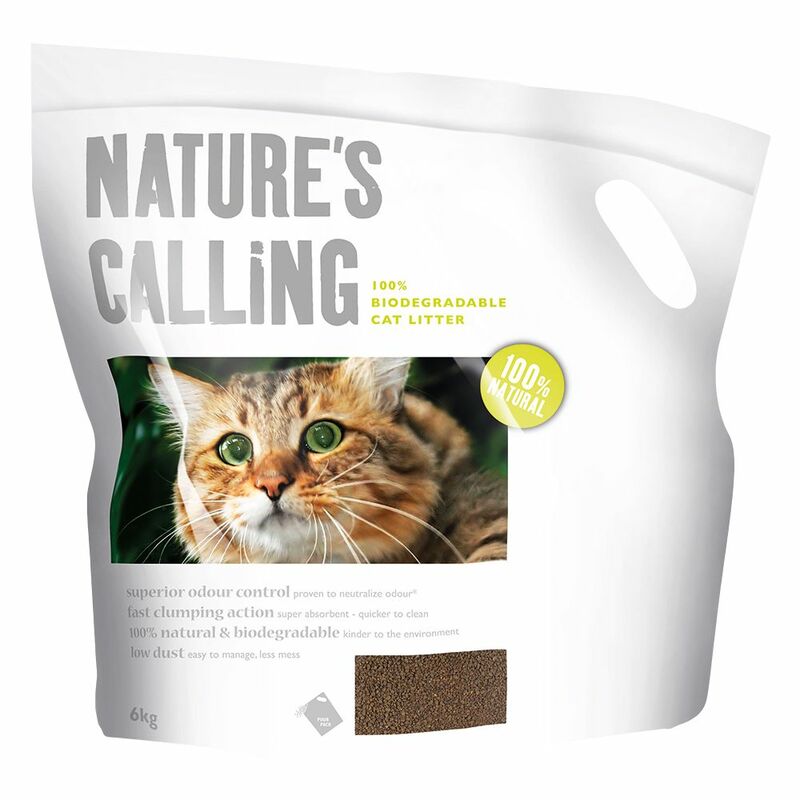 Applaws Nature's Calling is a 100% natural and biodegradable clumping cat litter. Made from the lining of the walnut shell, this innovative blend of fibrous material has been proven to effectively absorb and neutralise odour. The litter begins to clump on contact with liquid, and forms hard lumps within just 15 minutes. Applaws Nature's Calling is virtually dust free, the granules don't stick to your cat's paws, so they won't leave a trail of litter behind them. Not only is Nature's Calling 100% natural and biodegradable, but it comes from annually renewable resources so it's much kinder to the environment. The litter is completely free from artificial and chemical additives, and the clumps can be easily and safely disposed of by flushing down the toilet. Applaws Nature's Calling Cat Litter at a glance: Environmentally friendly, 100% natural and biodegradable Made from renewable materials – the lining of walnut shells Fast clumping and odour neutralising Hard clumps after just 15 minutes Virtually dust-free Doesn't stick to paws 100% free from artificial and chemical additives Flushable. Price just £10.99! Click here to buy now!